When I visit Vienna, I enjoy visiting Meidl & Sulzmann Antiquariat located at Kochgasse 31 in the 8th district. It is half a block from Alserstrasse. Unlike some other Vienna bookstores selling old books and prints, Meidl & Sulzmann have their books on shelves that can be browsed. Also, they have many racks full of old maps, graphics, and theater announcements that can be perused. Of course the stock in the store changes as it sells and buy books, but it always has some attractive books at prices that range from reasonable to beyond the means of most folks. Last year, the store had some first and early editions of poems by Anna Akmatova published in Russia. They were a bit beyond my price range, but it was a pleasure to see them. In the past, I have purchased some older graphics (19th century) that have made great gifts and others that I have put on my walls in Birch Bay. Most of them come mounted and need only a frame. This year I made two minor purchases. The first is the book whose cover is shown above. 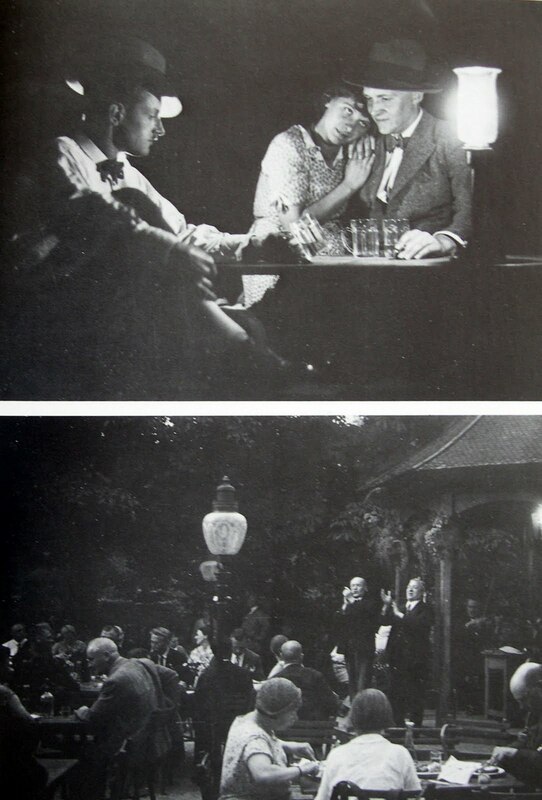 It contains photographs taken in the 1920s and 1930s in Austria, mostly in Vienna. I wanted the book because I am doing some research on M.W. 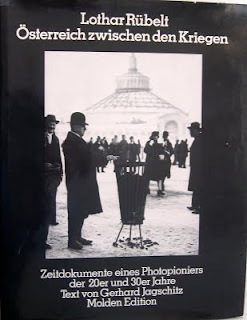 Fodor, who was the Manchester Guardian's correspondent in Vienna from 1919 until well into the 1930s, and have been collecting materials on life and events in Vienna during that period. 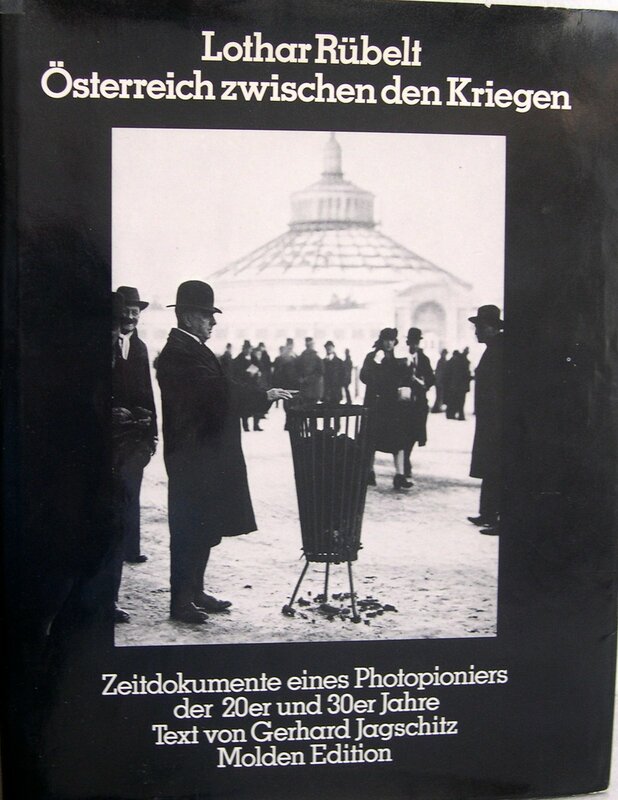 This book's 425 black and white photos from that period provide some views of both the fun and difficult elements of the times. I paid 15 euro for the book, which was published in 1979 and is not particularly rare. It is difficult to find in the U.S.
Two pages of pictures from the book are shown below. The first shows a old guy trying out the new wine (heuriger) in a Grinzing establishment. 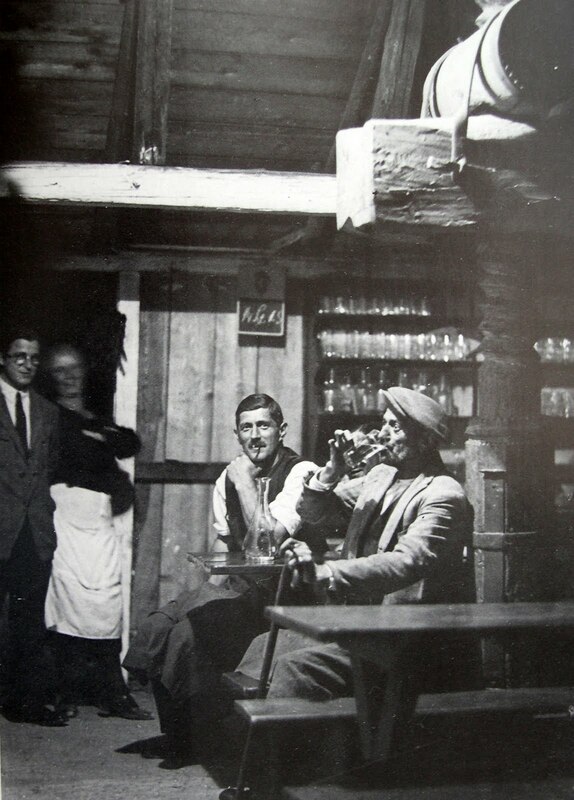 The number of places selling heuriger in the wine villages on the edge of Vienna have dwindled and greatly changed since I was first here in 1967-68, but some are still around and have a bit of the feel of the place shown in the picture. Unfortunately, the old places up toward Kahlenberg, surrounded by vineyards, without electricity, no longer exist (or, at least, I can't find them). The other page has two images, both related to the heuriger tradition. The first shows three people sitting in a table drinking the new wine. The second is the typical outdoor setting for drinking the wine and listening to music in Grinzing. In addition to the book, I bought a small graphic to give as a gift. 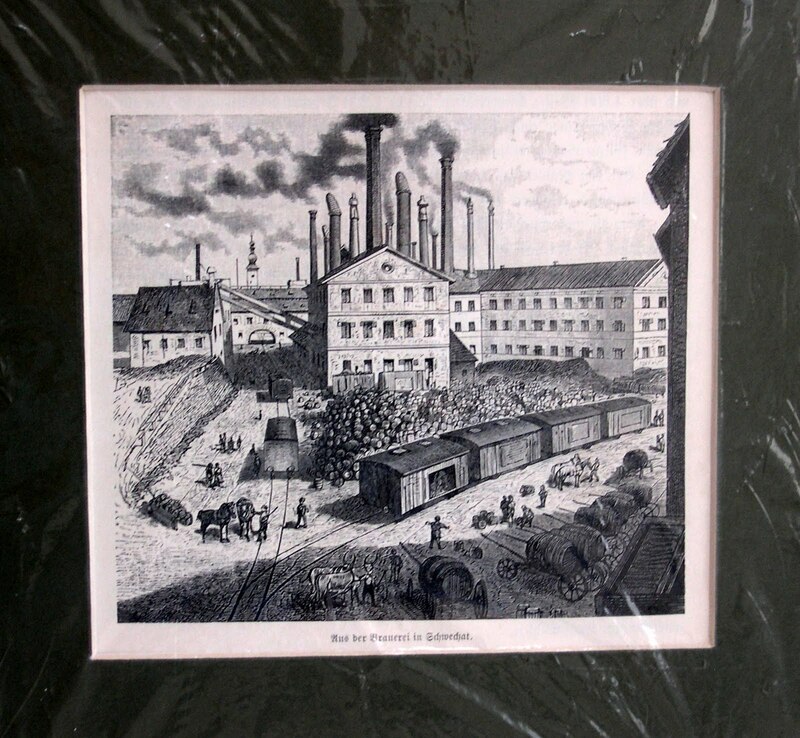 It is a wood carving (Holzschnitt) that was printed in the book "Die Oesterreichisch-Ungarische Monarchie in Word and Bild" (The Austrian-Hungarian Monarchy in Wood and Picture) published in 1888. It shows a brewery in Schwechat, located a few miles from the center of Vienna (near where the airport is now located). It is small (about 6 inches by 6 inches), but has very nice details of an interesting piece of Viennese history. In all, my visit this year to Meindl & Sulzmann was enjoyable and I am pleased with my "finds" there.